One of my favorite parts of December is prepping the kitchen for the week of Christmas. I want to make it special- something more than just gifts under the tree. So, I turn on the Christmas music and tackle one dish per day in the weeks leading up to Christmas. 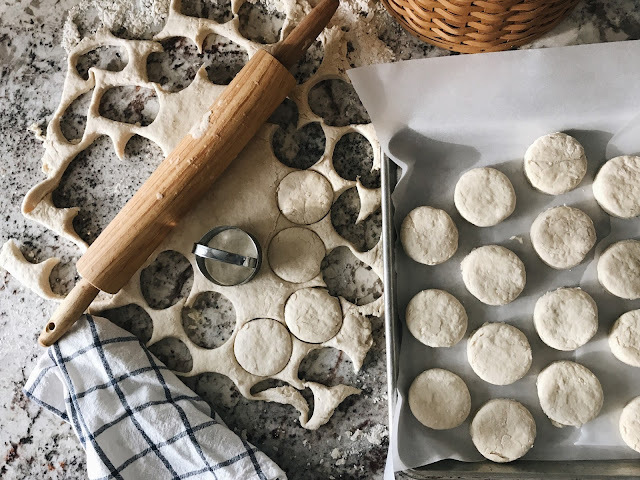 Today, I worked on our biscuits for Christmas morning and I wanted to share the recipe with you. These biscuits are the perfect biscuits to pair with gravy. They separate beautifully, right down the middle, and they even have layers to them... just like you want when you are eating biscuits and gravy. A couple of my kiddos don't love gravy, so they slather jelly on them and are quite satisfied. One thing I want to mention is how easy these are. You only need a few ingredients and they come out of the oven a lovely golden brown. I had to quickly toss them in the freezer (after cooling them) before I ate them all. :) That's another thing I love about these biscuits... you can make them ahead and they keep very well in the freezer. Now, on Christmas morning, all I have to do is whip up the gravy and pull out the biscuits. If you are wanting to try the recipe for yourself, you can find it HERE. I hope you enjoy these last few days until Christmas. We are going on 2 years of plant-based eating and loving it. Here's the problem... the holidays aren't for plant-based eating. They are for comfort food, am I right? They are for Nene's Banana Pudding and homemade cinnamon rolls (see a pattern??? Sugary carbs, anyone?). 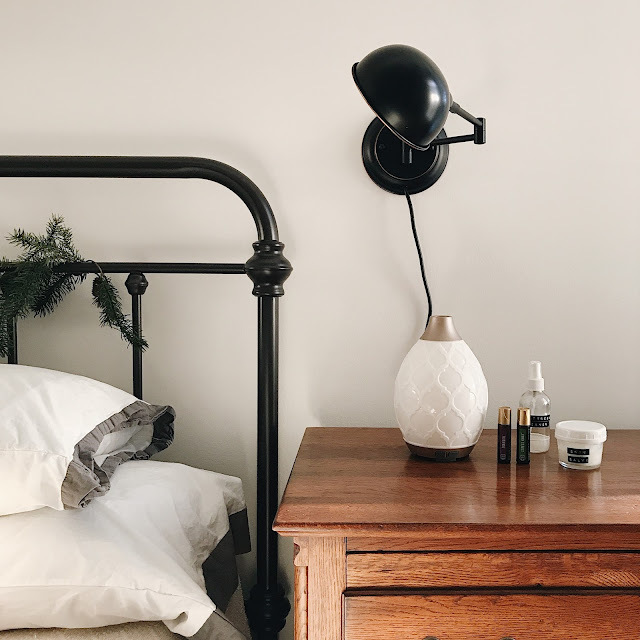 So, that means the aftermath of the holidays are for detoxing, at least in our case. I was searching for a few recipes that were new for us, tasty, and packed with real veggies. 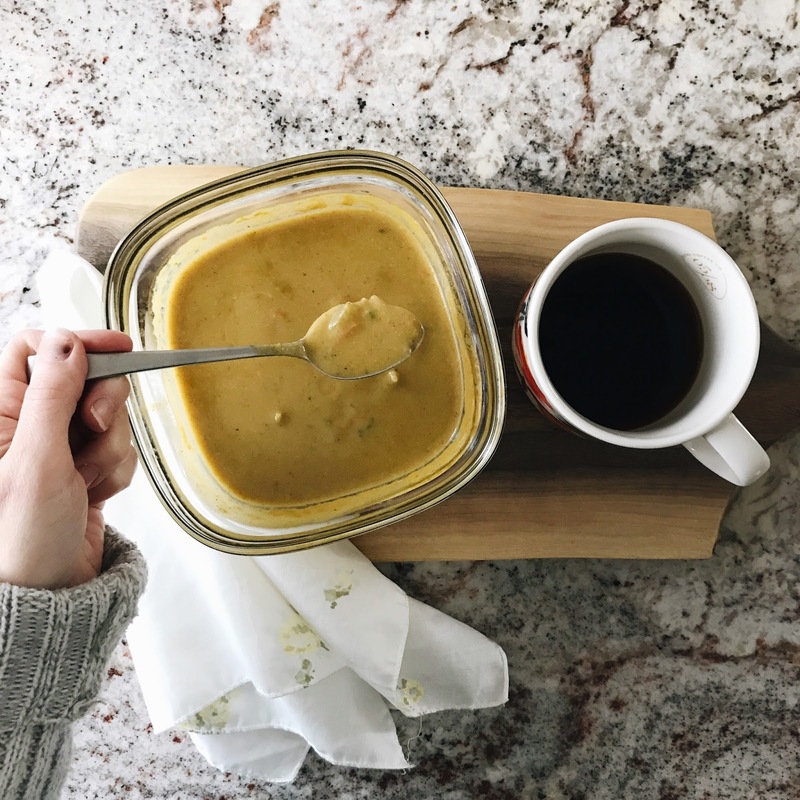 I stumbled upon this Detox Broccoli Soup from Pinch of Yum... and it was YUM! She slaps on some delish looking croutons, but we opted to just eat it plain and were not disappointed in the least. I made homemade chicken strips for the kiddos and they ate those alongside the soup. They even asked for seconds, which I consider a big- WIN, in my book. 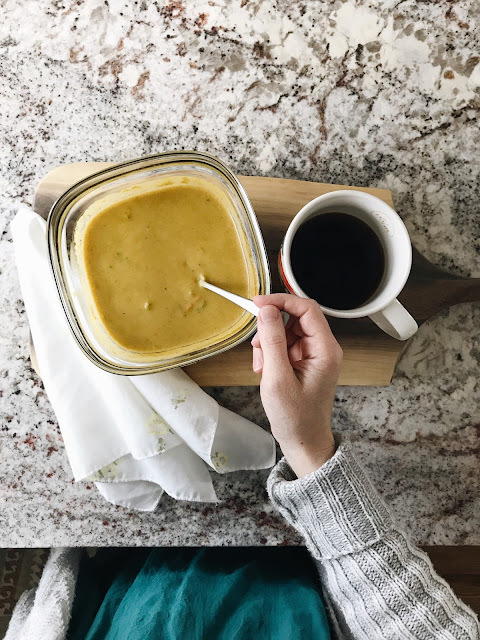 Not to mention, this soup is easy and quick to whip up. If you have a family larger than four, I'd double the recipe so people can have more than one bowl. 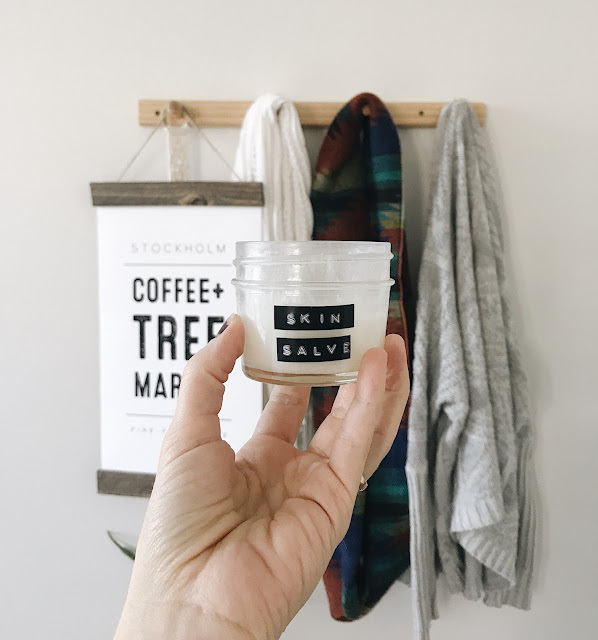 I shared my bedside oily products on Instagram the other day (@thelivingwellessentials) and got several messages about a recipe for my Skin Salve. It has proven to be extremely supportive for our skin no matter if we have scrapes, blisters, or dry/itchy skin. I originally made this when Mark was preparing for his two week hunting trip in the mountains. He was rucking on the country roads with a weighted packframe on to prepare his feet and body for the conditions he was going to be hiking in when he hit the mountains. After several trips, he developed severe blisters on his heels and I whipped up this salve to help support the healing process. That is one of the many reasons I love oils... you can concoct things right at home, instead of having to get a script or go to the store. I also struggle with dry, itchy hands in the winter time from all of the washing I do + the dry air. It can be pretty uncomfortable, so I rub this on my hands twice each night to help support that skin. It works wonders. I hope you find this recipe to be helpful. Mix until whipped and place in a glass jar.